In today’s mobile society, moving for jobs, for family, or for any other reason is common. However, if you are separated or divorced from your child’s other parent, the matter can be complex. Arizona law has conditions and stipulations that govern the ability of parents to move to another city or state. The best way to protect yourself and your family is to speak with a knowledgeable Scottsdale family law attorney who understands the law concerning child relocation. At the Law Office of Karen Schoenau, we represent parents and their children in relocation matters. Our firm is dedicated to protecting the best interests of our clients through knowledge of the law and forceful advocacy. Whether this requires modification of a child custody and visitation order, visitation arrangements, or adjusting child support amounts, Scottsdale divorce attorney Karen Schoenau uses her more than three decades of experience to identify creative solutions to problems related to parental efforts to relocate. Arizona law requires the relocating parent to provide at least 45 days of notice to the other parent before moving if they propose to relocate more than 100 miles or out of state. This allows the other parent to contest the move away if he or she chooses, and it helps avoid potential suspicions of parental kidnapping. In cases like these, parents may need to seek modifications of existing orders to protect the best interests of the children and document the change so that it can be enforced, if needed. 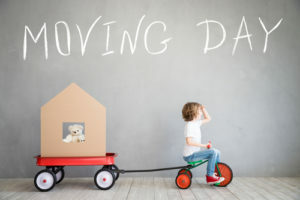 In addition to notifying the other parent, the parent seeking to relocate must show that the move will be either neutral or positive for the child and will not negatively affect the relationship with the child’s other parent. The move cannot be just about the parent who wants to relocate. Courts usually see moving just to take revenge as bad faith on a parent’s part. This approach may backfire and result in the loss of physical custody. Older children can have a say in a parent’s effort to relocate. Judges take into account the child’s relationship with both parents and how likely the child is to adjust well to a new school and community. Judges have considered a child’s preference even when the child is as young as seven. It depends on the child’s level of maturity. Judges will consider a child’s relationship with grandparents, siblings, and other relatives and determine whether a move would negatively affect those relationships. The also try to determine which parent would promote and foster the child’s relationship with the now-distant other parent. These and other factors go into an Arizona judge’s decision to allow a relocation with a child. Consult a knowledgeable Scottsdale family law attorney to learn more. If you are thinking about relocating with your child, or if you have received a relocation notice from the other parent, talk to our Scottsdale child relocation lawyer to learn about your options. Call the Law Office of Karen A. Schoenau at 480-725-1438 or toll free at 888-304-0928. You may also use our online contact form.